Once I saw a fully embroidered designer coat on a magazine. The stitch was mainly padded satin. 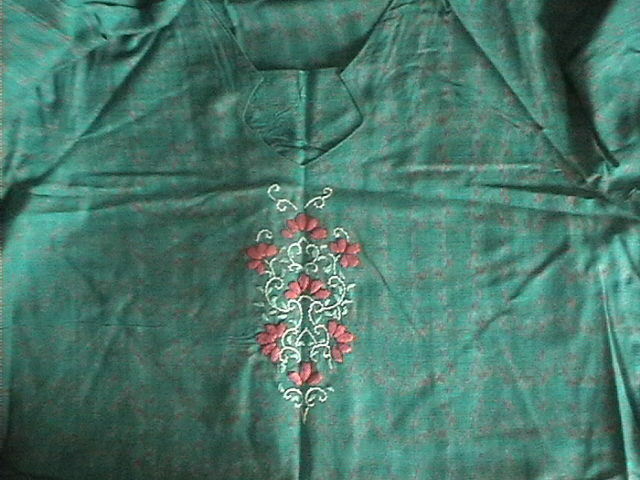 though I wanted to do that immediately on a tunic, being wary, decided to do a small motif. Fabric- Mercerised ikat cotton in blue and pink. Pattern- a small traditional Indian motif. 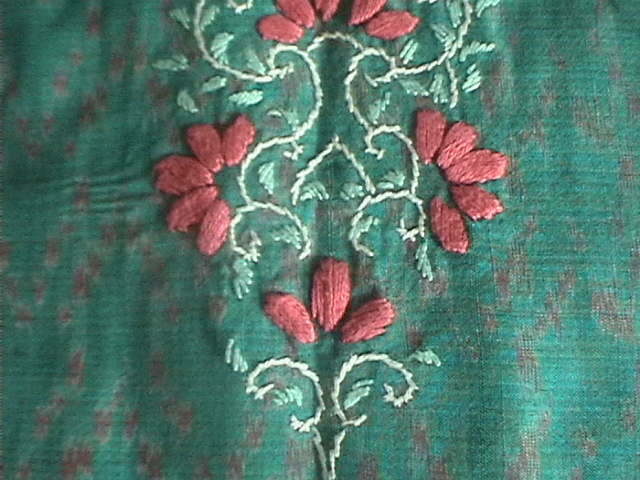 Embroidery-Stem stitch,satin stitch for leaves and padded satin for flowers. The flowers would have looked better, if I had used a thread with sheen.